AK Carpets, based in Lancashire, was established in 1993 by Harry Law who realised his concept for delivering a cost effective, fast yet efficient service to the automotive trade. As the business grew we later became a Limited Company in 1999. In August 2013 we moved into new, larger premises in Garstang giving us greater potential for expansion throughout the UK and Europe. This allows us to stock even more materials and offer our customers a greater choice. We currently import in excess of 10000 sq m of material per month, which is sold all over the UK and Europe. Whilst in production we have developed our skills and advanced our knowledge of the industry, constantly introducing fresh and innovative products to enhance vehicle interiors, thus indicating our commitment to the consumer and the service we offer. Understanding the needs of both Operators and Converters, meeting their demanding deadlines is of paramount importance. With this in mind we continually endeavour to provide a superior distribution service. Being both swift and professional, we never fail to satisfy. 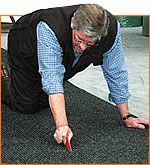 AK Carpets Ltd offers an exciting range of side lining, flooring and matting products, especially developed to comply with the highest directives. Our textiles are supreme in quality and design, yet crafted with convenience in mind, making manufacturing and refurbishment much more realistic. Countless major conversion companies now rely on our products and service, all of which are, and will continue to be a huge success. Our intention is simple; to uphold and maintain our exceptional service we have delivered since day one. Combine this with our commitment to providing outstanding customer care; we are confident AK Carpets Ltd will remain the superior choice. "All our coach carpets are supplied by AK Carpets Ltd; we find there colour range suits our various vehicle interior colour schemes. Together with their first class service, they are always happy to work around our vehicle movements, enabling their fitting team to upgrade our coaches’ without disrupting our schedules..."
"We have been purchasing AK Carpets products for many years and can always rely on the quality of their materials, prompt service and friendly staff. Definitely a first class Company to deal with..."
"In a business were vehicles need to be ready by a specific date we rely upon suppliers who are able to work to these same deadlines, AK Carpets Ltd fits the bill every time with there high standards of customer care, prompt delivery service and high grade products..."